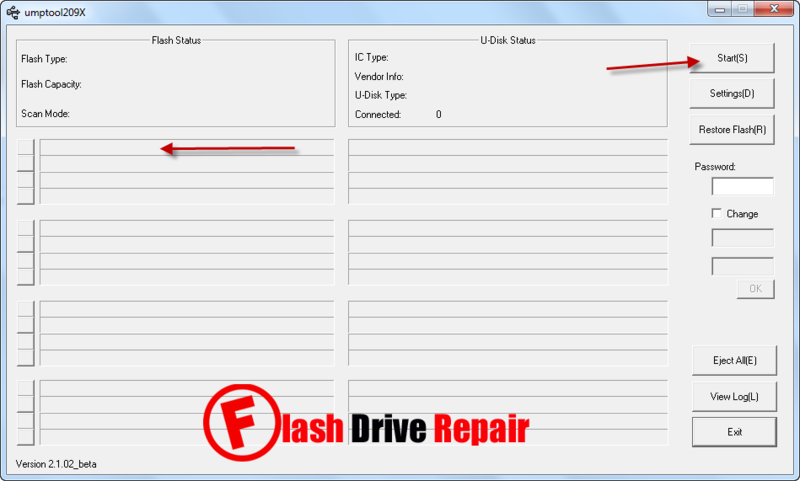 Learn how to update ChipsBank CBM2092 firmware and repair corrupted flash disk .Chipsbank CBM2092 umptool v2.1 can fix format errors for CBM2092 and CBM2092P chip controller .Repair your damaged USB flash disk now . Chipsbank CBM2092 Format tool is designed to reformat corrupted USB flash disk that have Chipsbank chip controller with the following Chip part number "CBM2092 and CBM2092P ".If you have format problems with your flash drive that have the chip vendor mentioned before so you must use ChipsBank CBM2092 Umptool v2.1 to update flash drive firmware and fix format errors . ChipsBank CBM2092 recovery tool support only Chipsbank CBM2092 and CBM2092P so please you must be sure that your flash drive chip controller is matching the chips that we mentioned before .You can use Chip genius report software or USBDeview V2.30 utility to determine flash drive information easily. How to repair chipsbank CBM2092 controller ? Download ChipsBank CBM2092 Umptool v2.1 from download links below . Insert your corrupted Chipsbank flash drive to your PC . Extract zipped folder then open umptool2090.exe software . If your flash drive is supported , your flash drive info will appear on the program interface . To reformat flash drive , click on Start All . Don't interrupt firmware updating process .